Our wholesale tile company strives to make the ordering process a timely proposition. 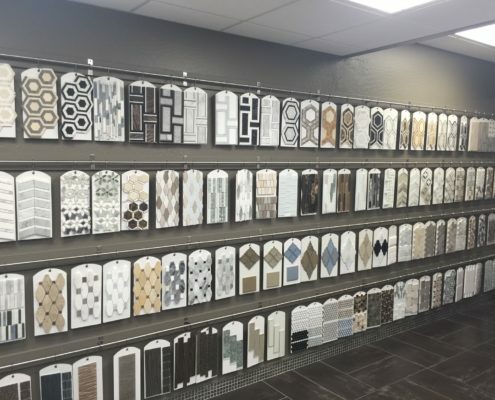 We serve the entire Valley of the Sun, and from Phoenix to Gilbert our wholesale tile company makes ordering a timely process. Be it kitchen tile, floor tile, large format tile or some other tile or natural stone product you desire, you shouldn’t have to wait around endlessly for it to arrive. We make ordering easy, and have established relationships with our suppliers that allow for timely shipping. No one does decorative tile like the professionals at Villagio. From porcelain and travertine tile to mosaic tiles and everything in between, Villagio Tile is committed to making the most beautiful and popular products accessible to you. Take a few moments of your time to learn about what we have to offer. Speak to our team about the ordering and shipping process so that you’ll know what to expect when you order from us. We’ll have your products on-hand in no time. Villagio Tile is home to stone and tile specialists with a feel for design and a great working knowledge of the products we offer. We are committed to meeting your performance and design expectations, and to offering impeccable customer service every step of the way. That means making the ordering and shipping process a smooth one, and this is one area where you will have no worries. Order today and we’ll have your stone or tile on-hand in a timely fashion. Our focus is always on you the customer, and that means making each stage of your experience with us a positive one. It’s all about making our products accessible and affordable, and getting them in the hands of our customers in efficient fashion. We believe that is the level of service all of our customers deserve. Contact Villagio Tile at (480) 422-6700, and let’s get the ball rolling on your project.